Doll-E 1.0 has made her way to a state list! 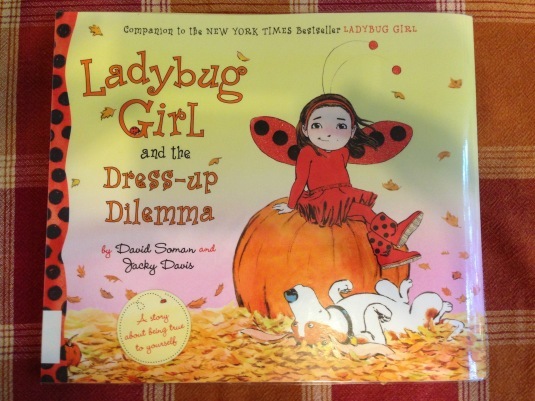 PB&P: “Ladybug Girl and the Dress-up Dilemma” and make a silly skeleton! They’ve done it again! 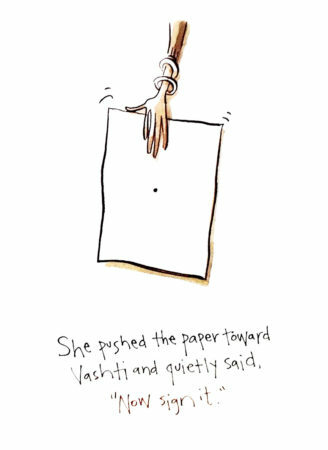 The husband and wife picture book team, David Soman and Jacky Davis, bring us another flipping BEAUTIFUL and thoughtful book to add to the Ladybug Girl series. Lulu is sure of what she wants to be for Halloween… or is she? Time is running out and she is out with her family picking apples. Then something happens to remind Lulu of what she knew all along- who she is and what she wants to be for Halloween! 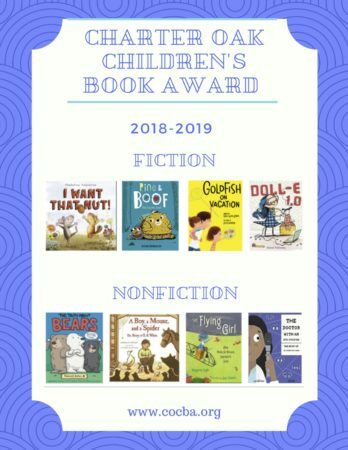 All the books in the Ladybug Girl series are on the longer side compared to most modern picture books, but I think it’s a good thing for kids’ attention spans to be challenged to stretch. It is written well, so you and your kiddo will barely even notice the longer format. My girl loves every second I read these books to her! And here’s a little SILLY SKELETON you can make! 1. 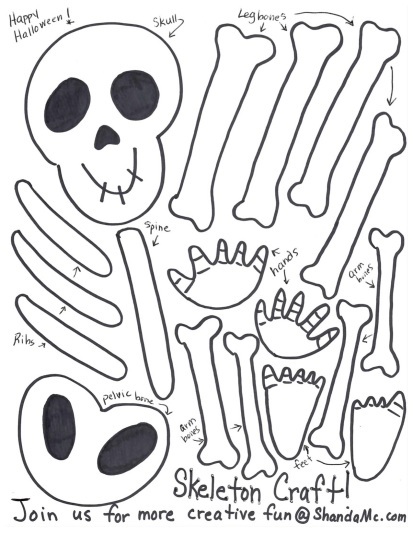 Download and print the sheet of bones (above) onto white card stock. 2. Have a parent help cut out all the bones. 4. 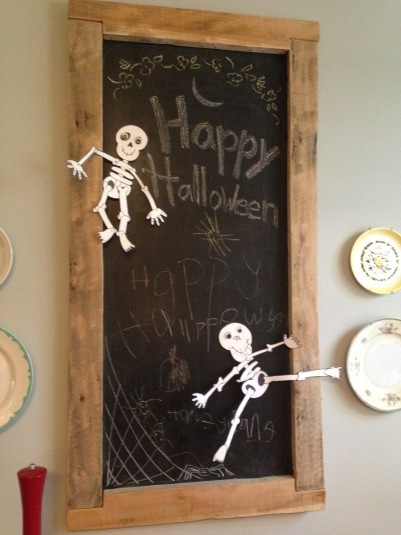 Hang it up for Halloween! Happy Halloween from Shanda and HJ! 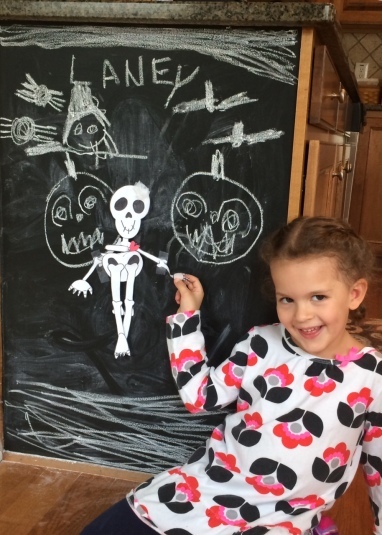 Laney and “Creepy” the dancing skeleton with a big heart! Great job! 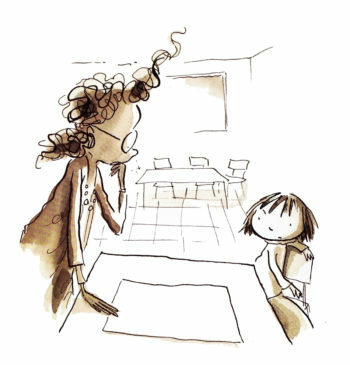 Here is a very special teacher from The Dot by Peter Reynolds. Great book! One of my all-time favorites! School is back, and I still get this nervous excitement in my gut. 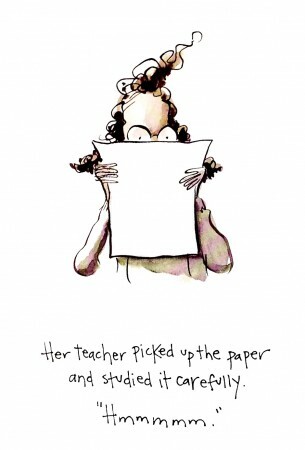 It’s the same feeling I always had as a kid starting a brand new school year. Even as a teacher I felt that way before meeting my new classes. But I’m not going to school and my daughter isn’t old enough either. I guess I’m just excited about a brand new season for me, my work, and Fall! Mrs. Satterfield (3rd grade) was like a ray of sunshine when I was a new student. Mrs. Raynor (4th grade) was cool to read the Wizard of Oz to us aloud- the movie was different from the book! And I can still sing the states in alphabetical order. Mrs. Miserri (5th grade) made history pretty neat. Mrs. Cheek (6th grade) was funny and made her own quirky worksheets. Ms. Driver (7th grade) scared me into being organized! Hugh McMillan (Sunday school) showed me that the Bible is a history book. Mrs. C (high school art) saw something special in me and pushed me on to accomplish some cool things. Robert Sherer (college painting) told me I didn’t belong in the art education program (that was his way of saying I should be a painting major) I was flattered and frustrated at the same time. Joe Remillard (college drawing) really taught me to draw the best I’ve ever drawn before. Monica Wellington (SVA teacher) showed me that you can be kind, simple, quiet, AND successful even in a place as harsh as New York City. Amazing illustrator/author example! 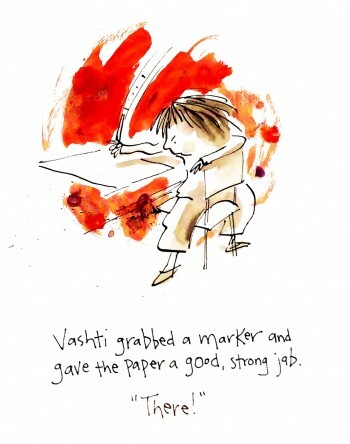 Vashti’s teacher never hears “thanks”, but you later see Vashti using the same encouraging technique the teacher used on her on a fellow student who claims he “can’t ” just like she did. 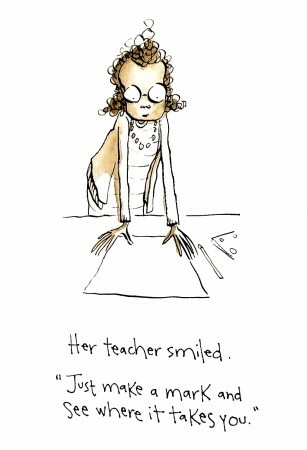 So this post is for ALL the teachers out there. You definitely made a mark on me by daring me to make mine. Have a fabulous year!